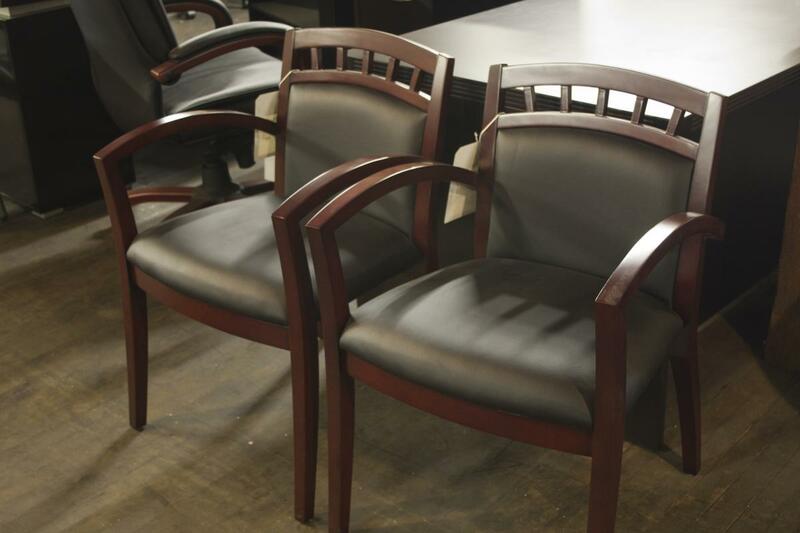 These wooden guest chairs from Mayline feature solid wood frame construction and are available in your choice of (5) different wood finishes. Other features include thickly padded seat and backrest cushions upholstered in top grain leather, integrated solid wood arms and four post legs for stability. Meets or exceeds ANSI/BIFMA standards. I would like to receive pricing for the following item: Mayline Guest Seating.